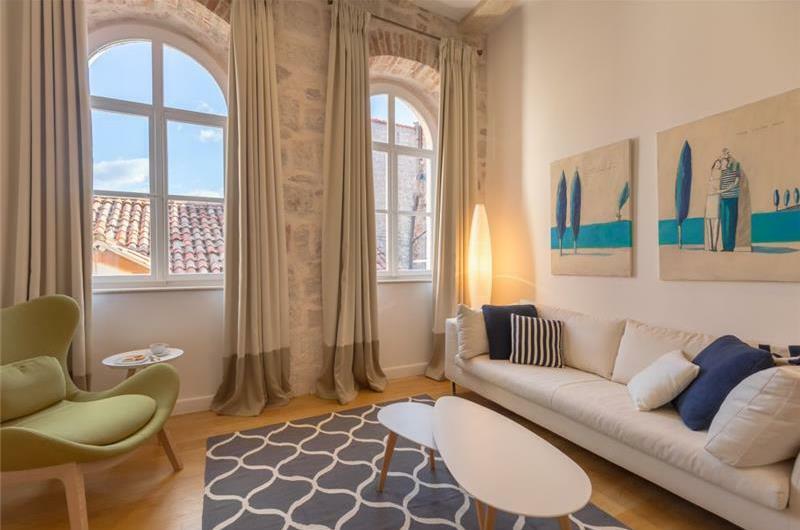 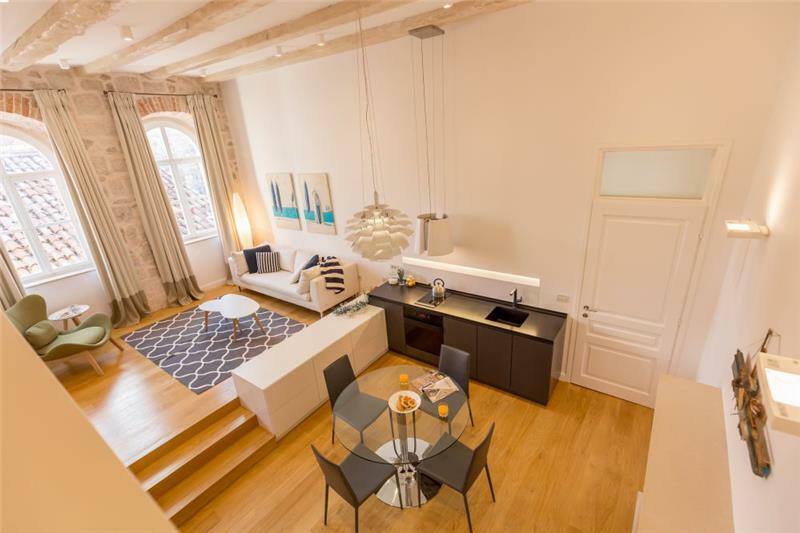 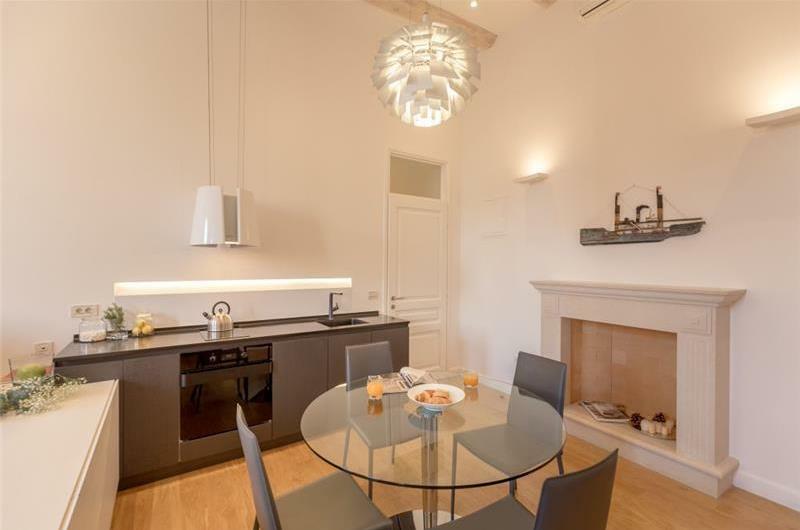 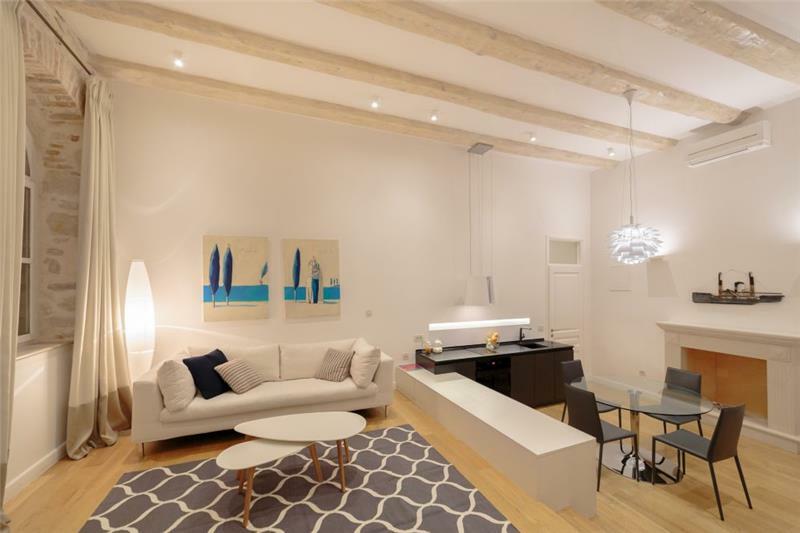 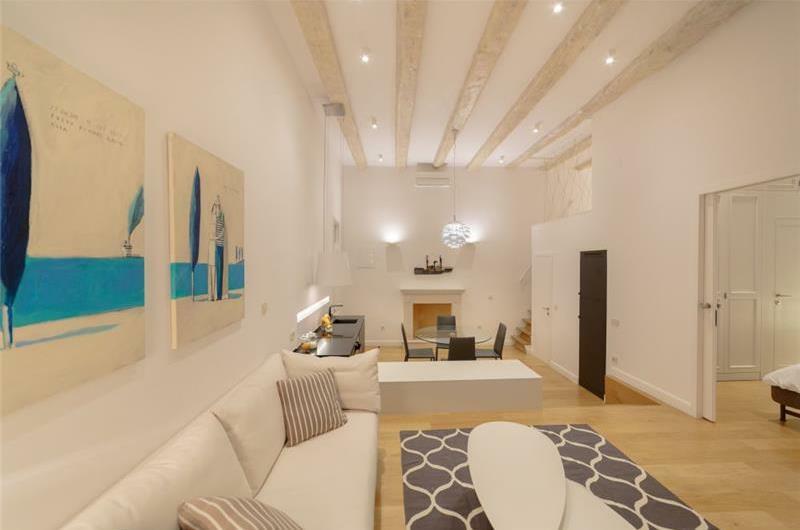 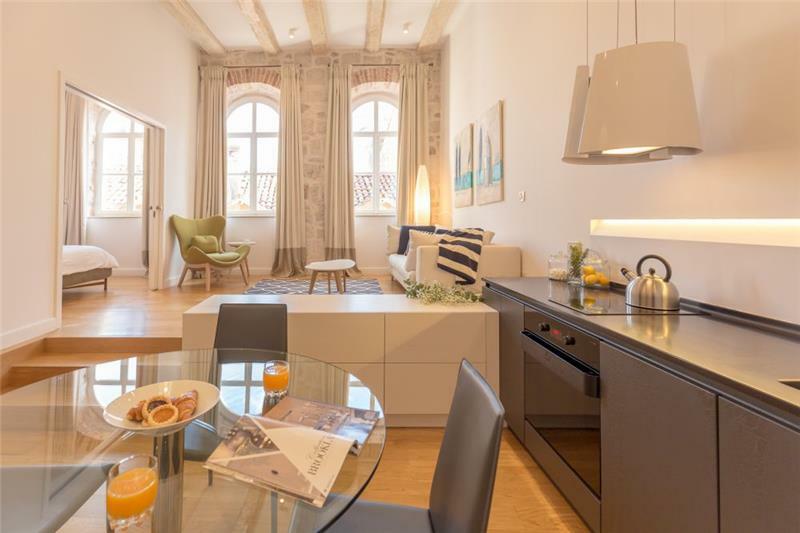 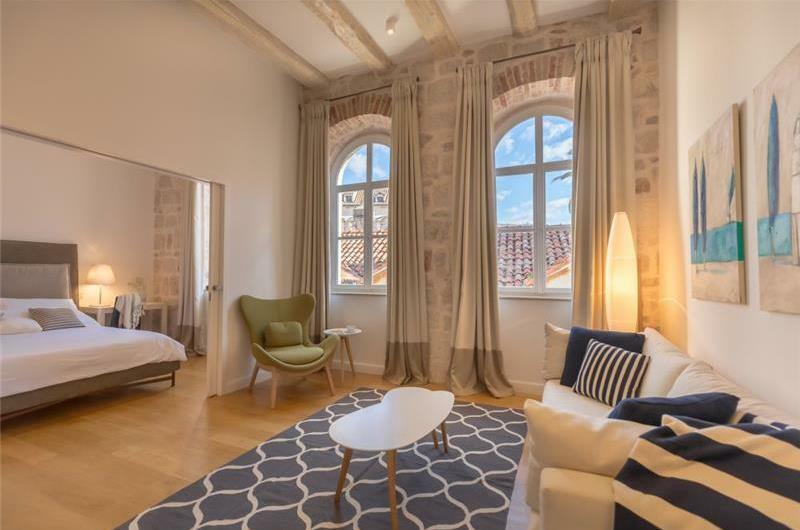 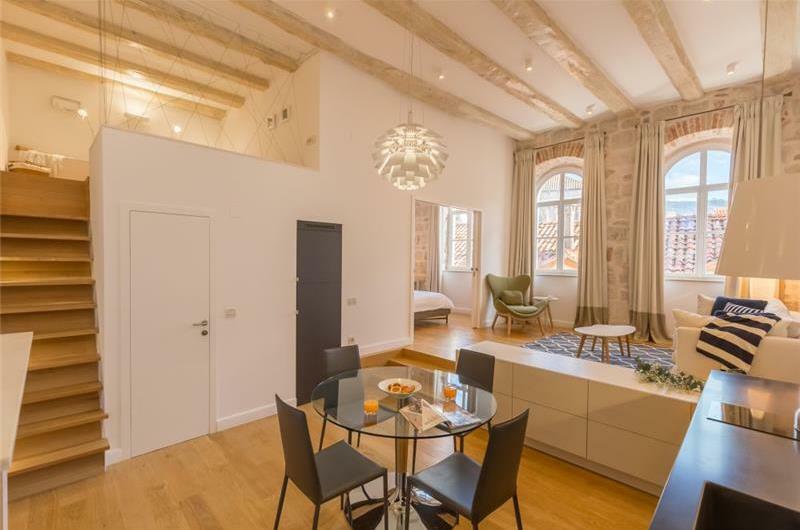 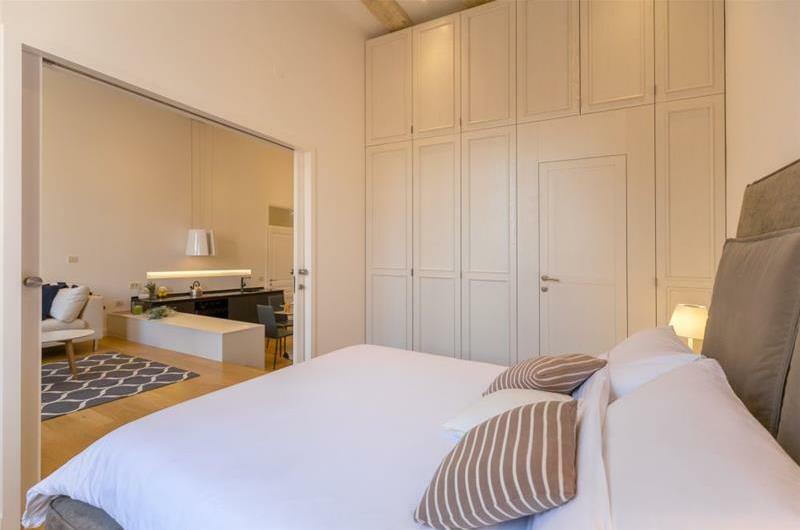 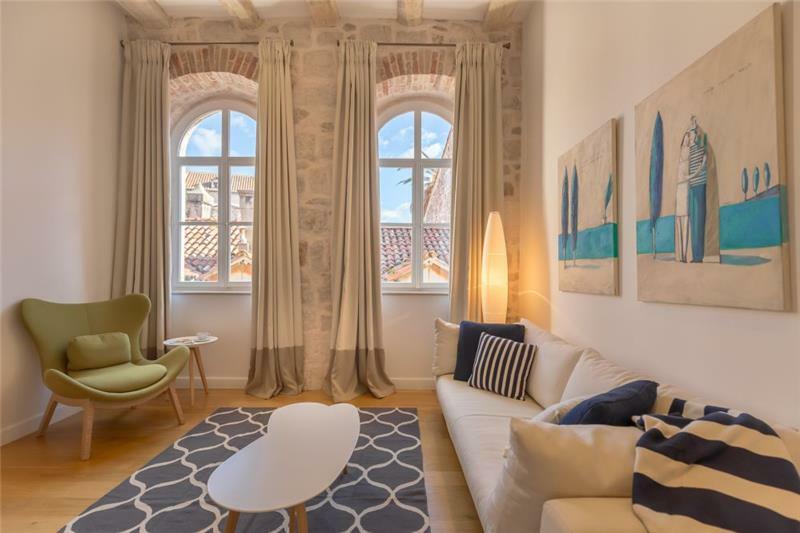 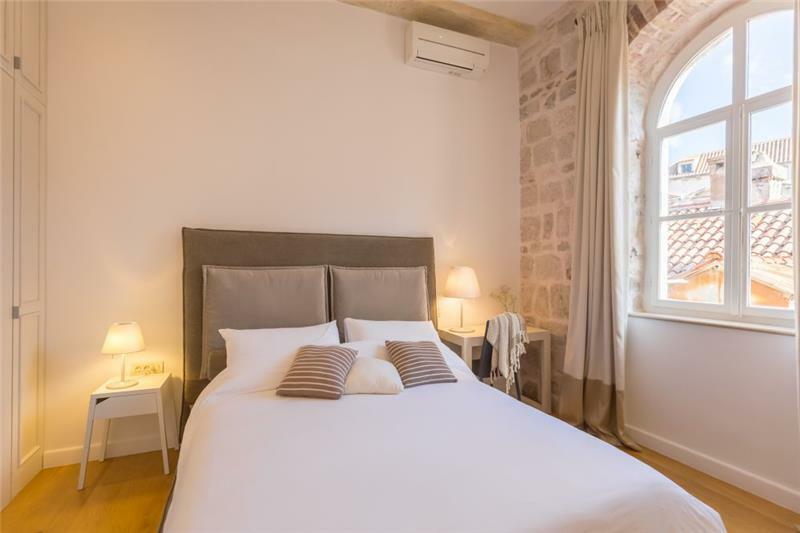 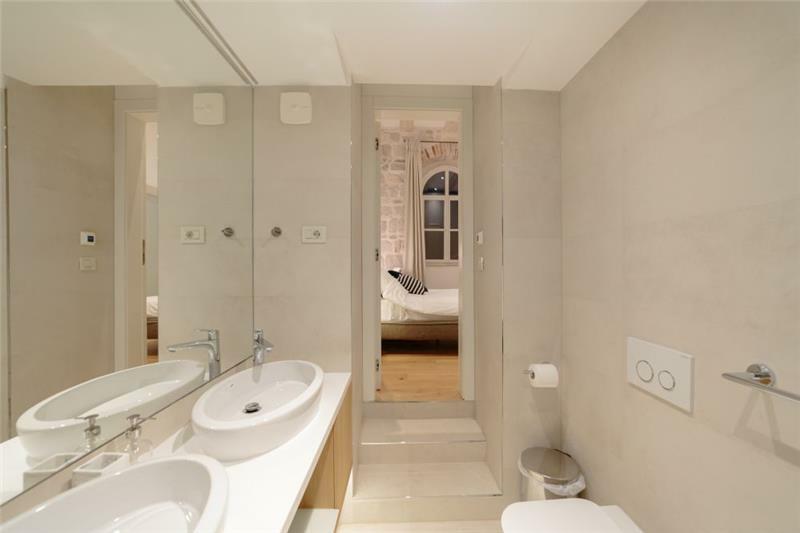 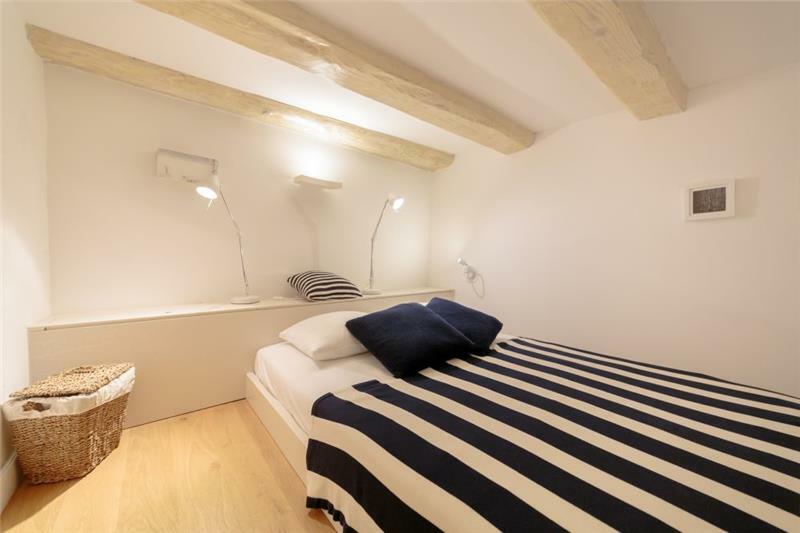 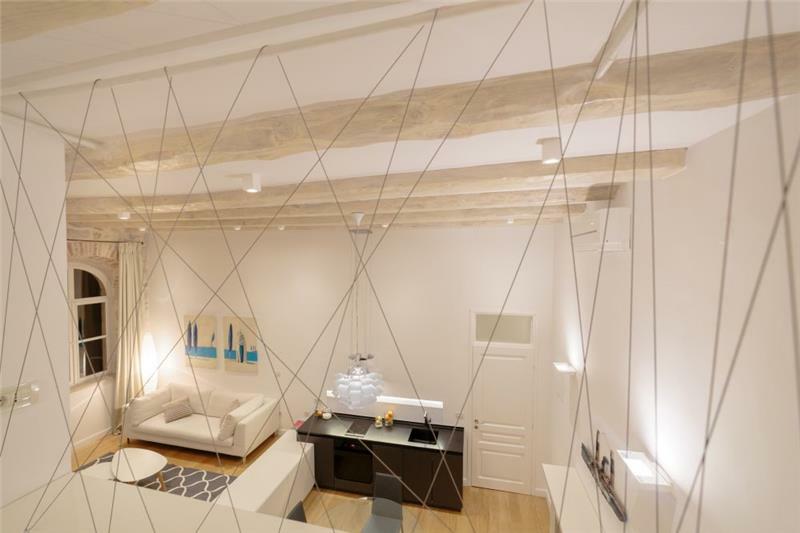 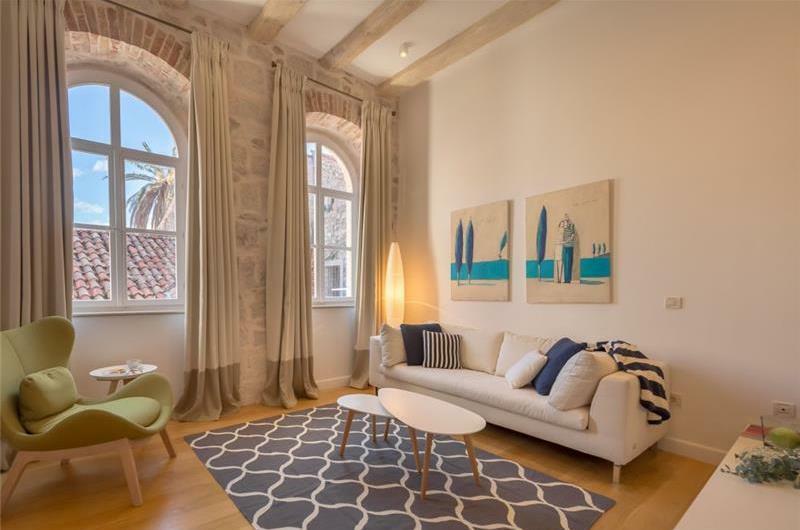 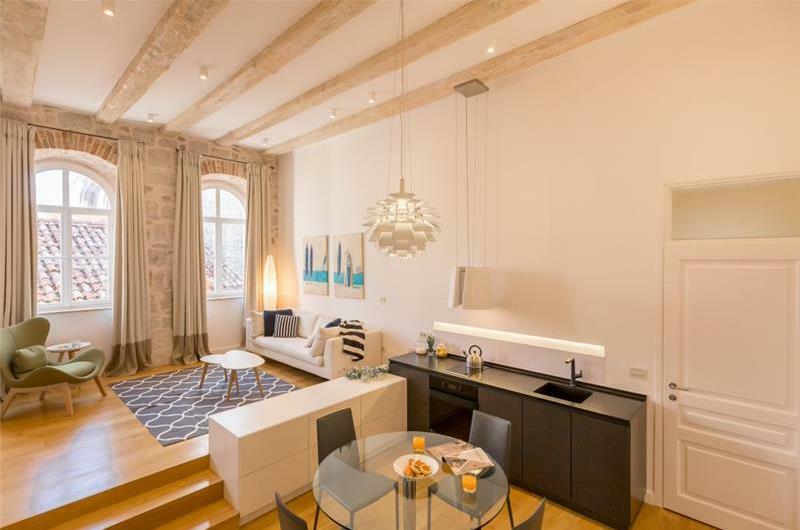 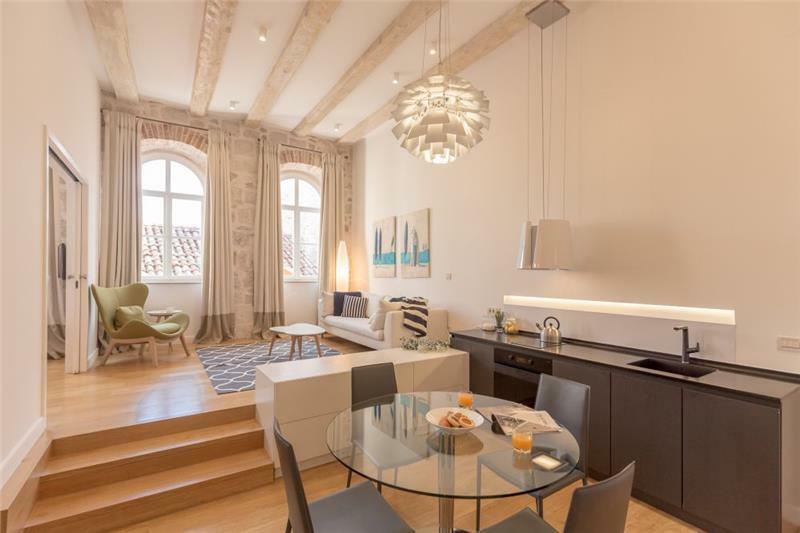 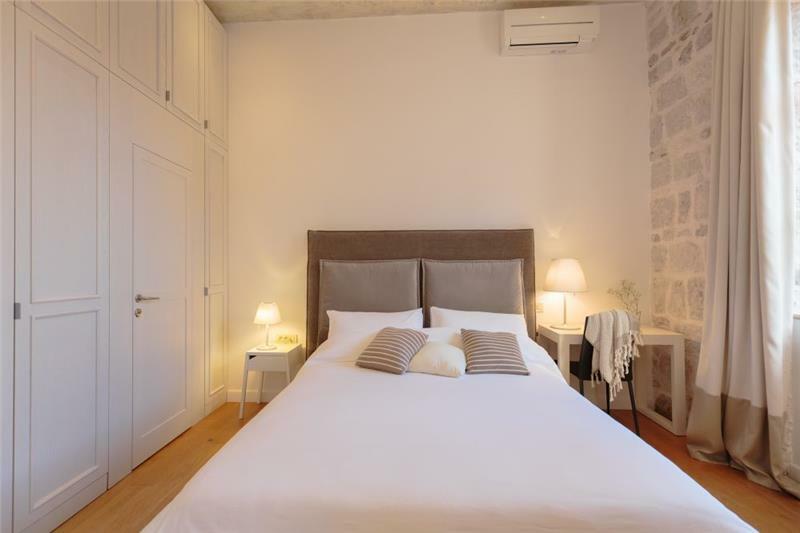 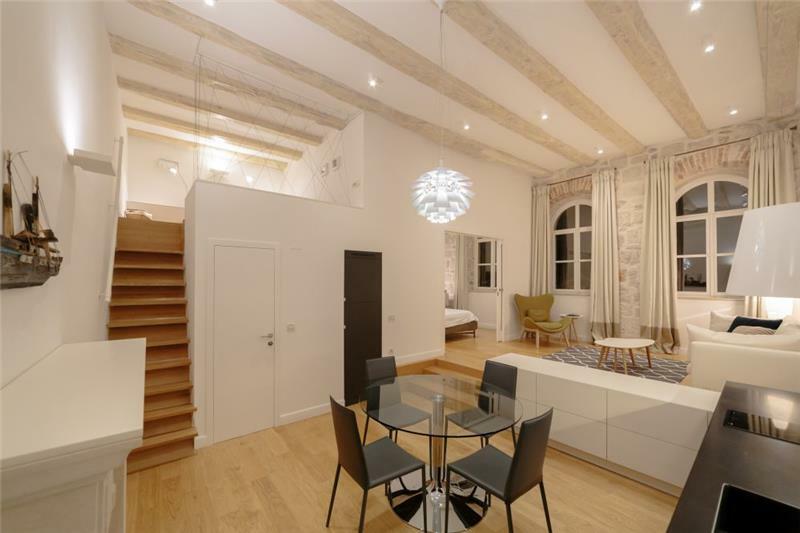 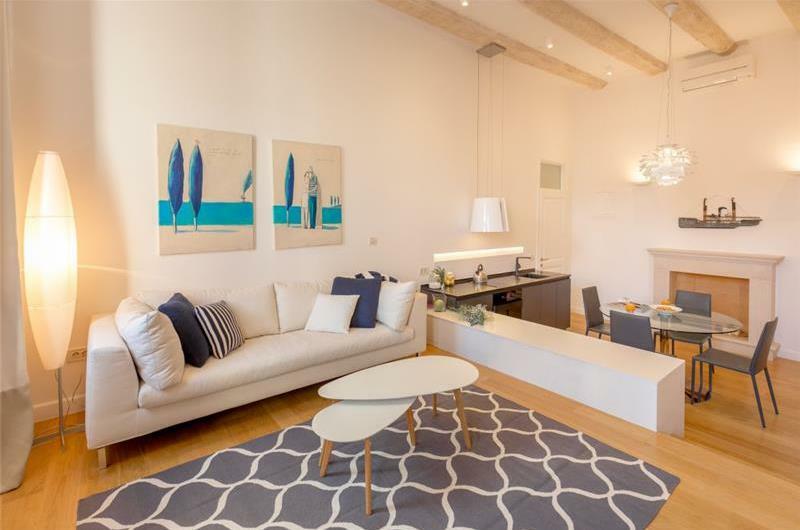 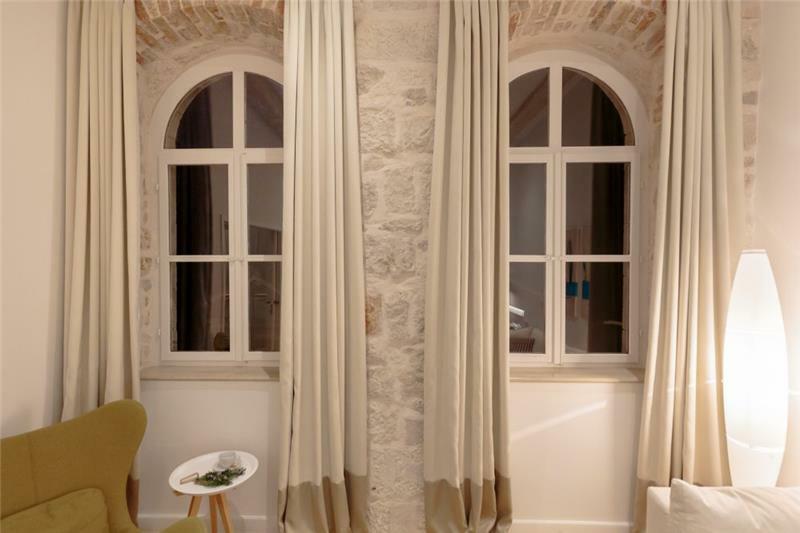 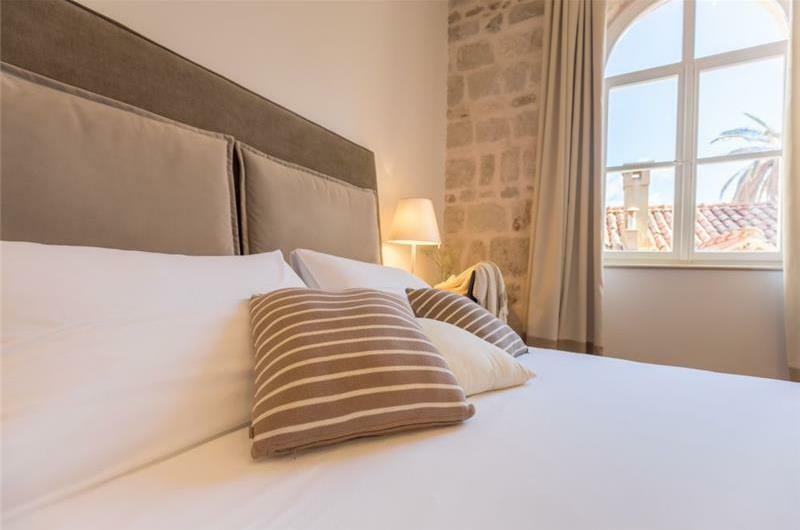 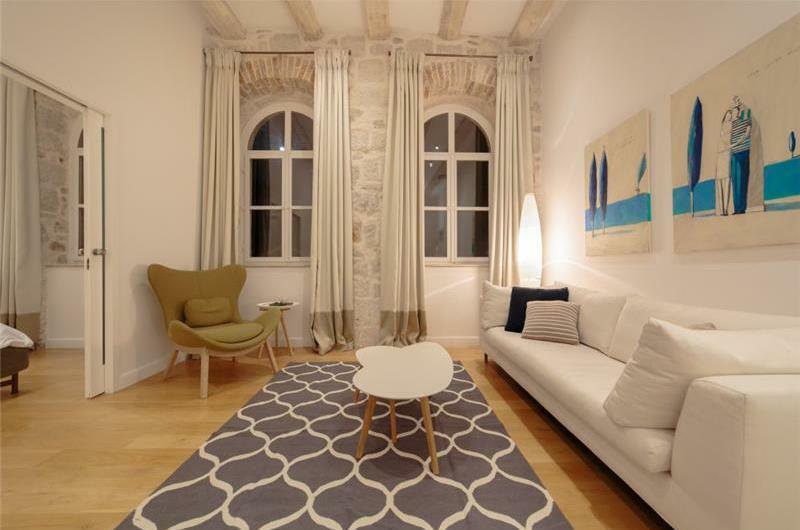 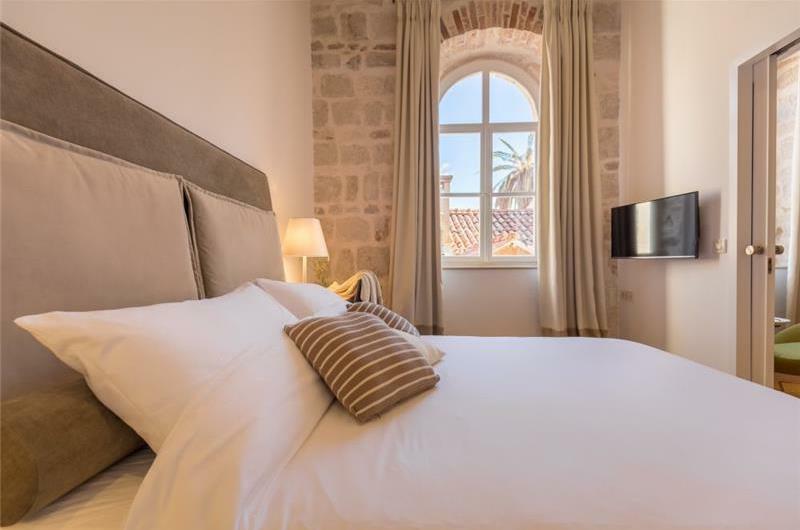 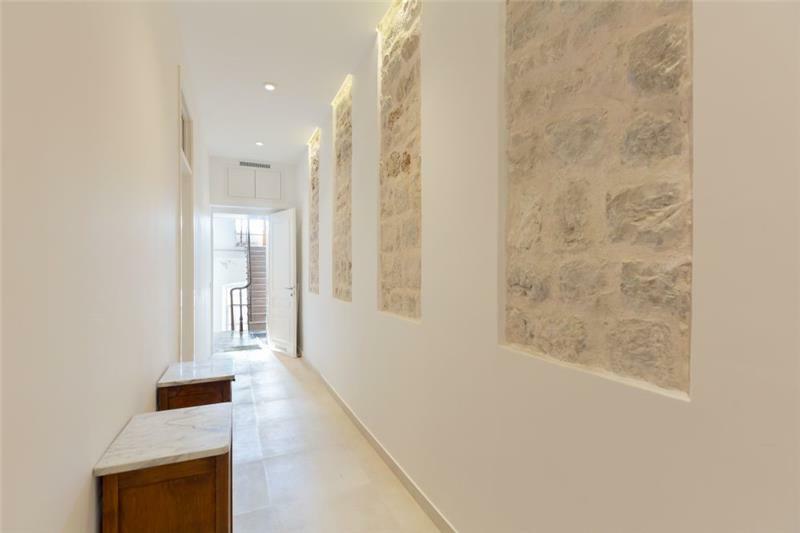 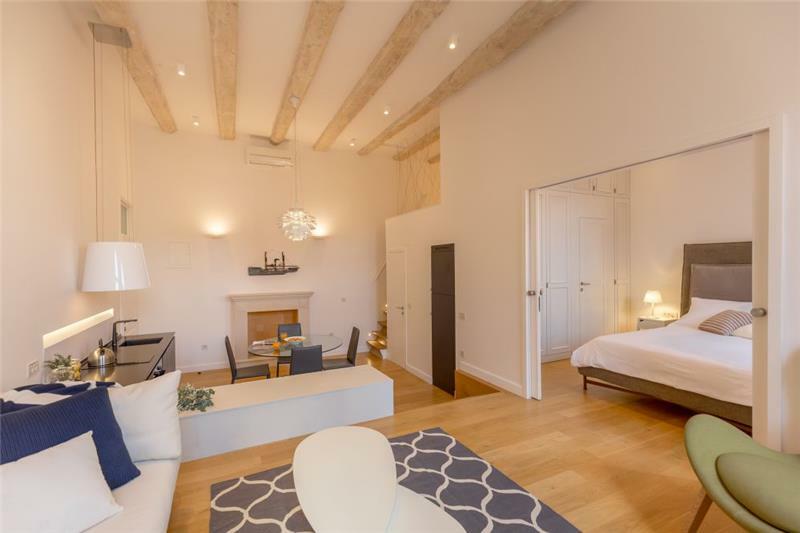 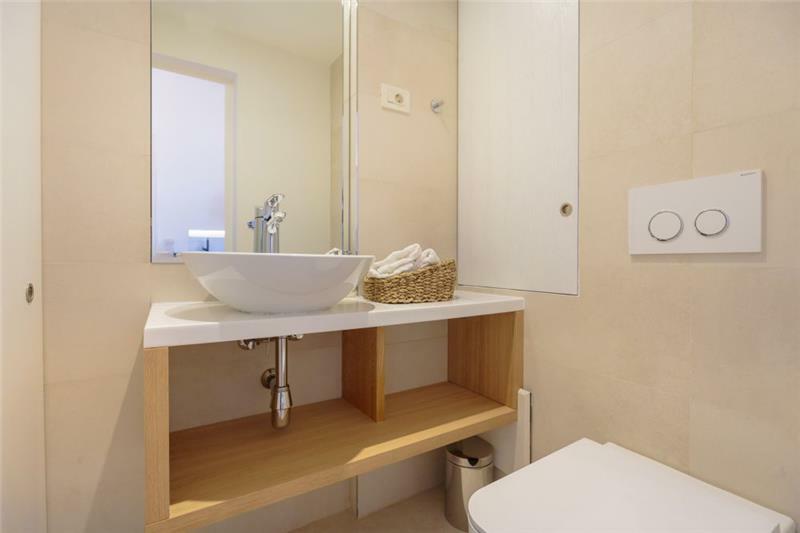 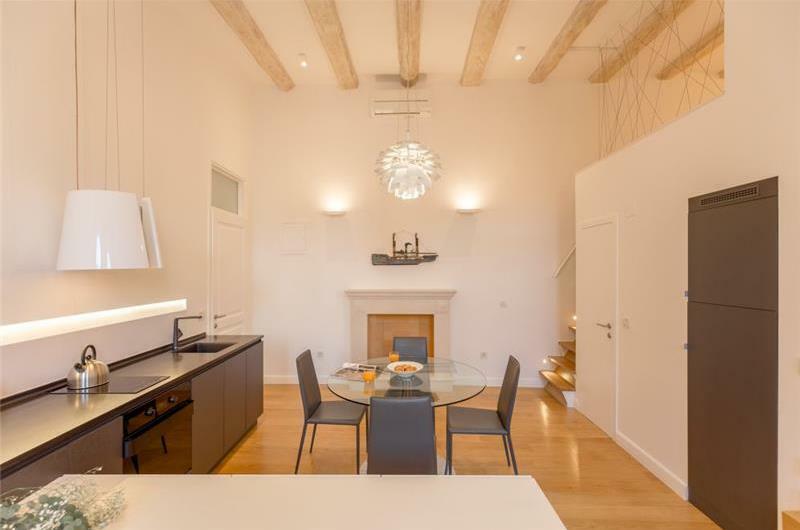 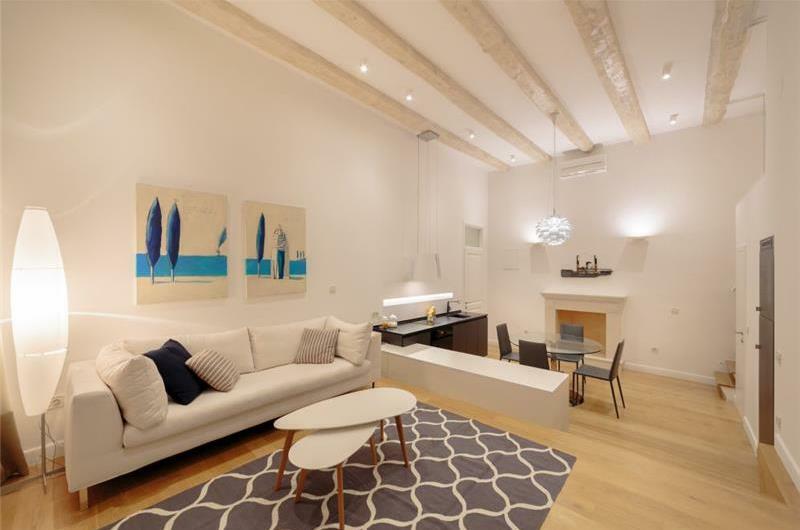 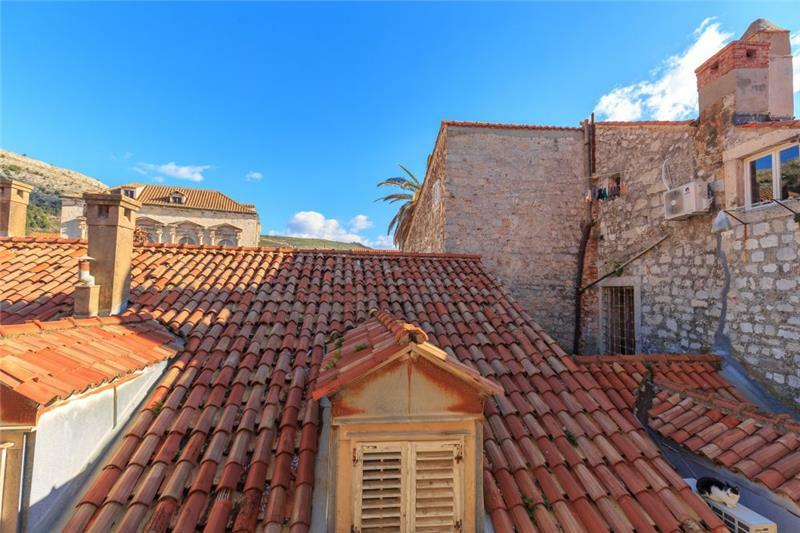 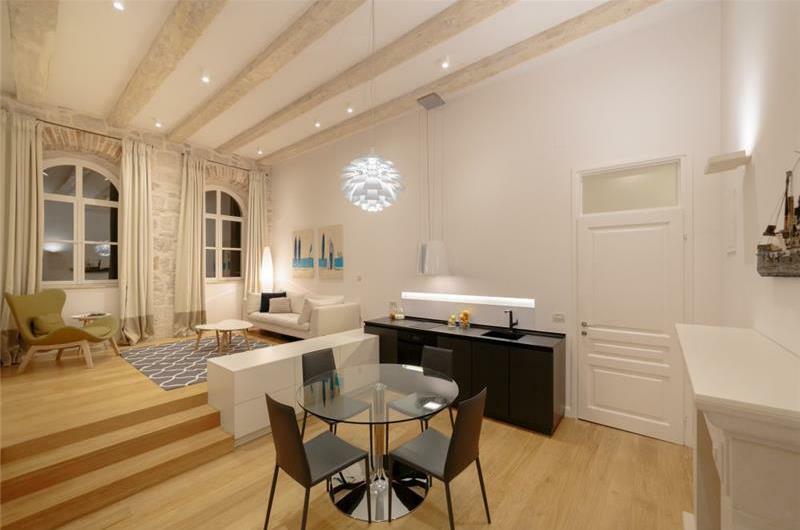 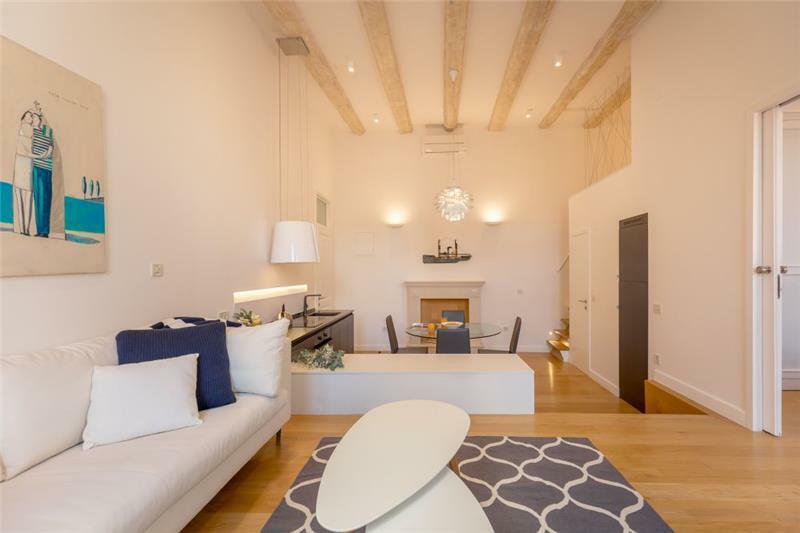 This 1 bedroom apartment is situated in the heart of Dubrovnik old town and is the perfect place to be if guests are looking to be near to local amenities and beaches. 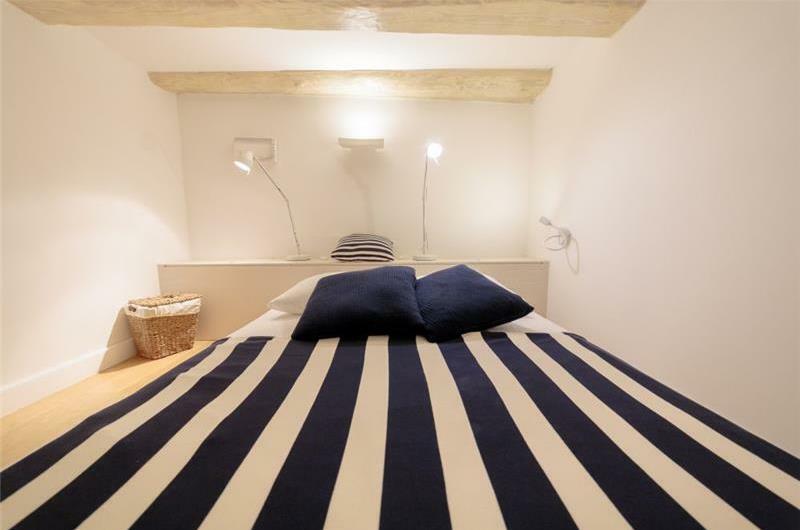 It would suit couples, friends or a small family looking to holiday together in central Dubrovnik. 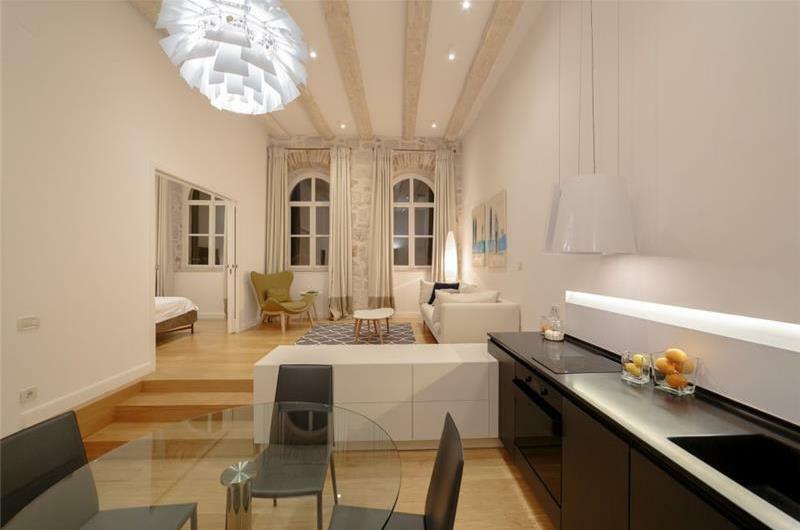 The apartment consists of a split level open plan kitchen and lounge area; divided by 3 steps and a toilet. 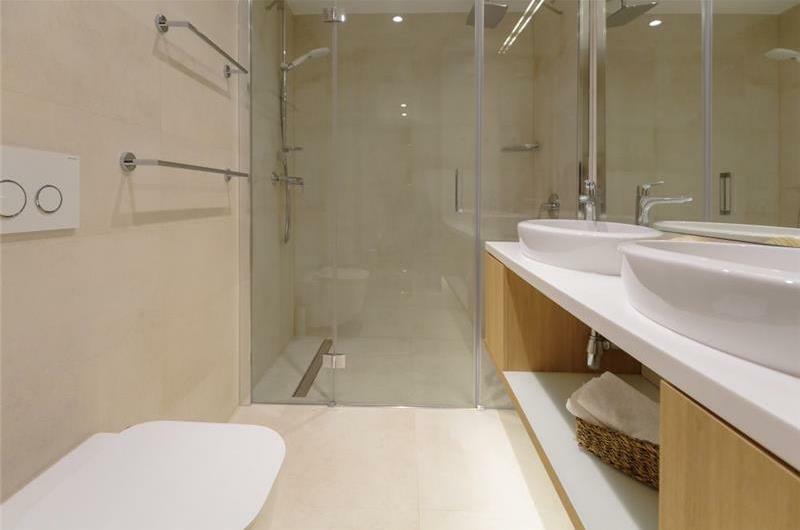 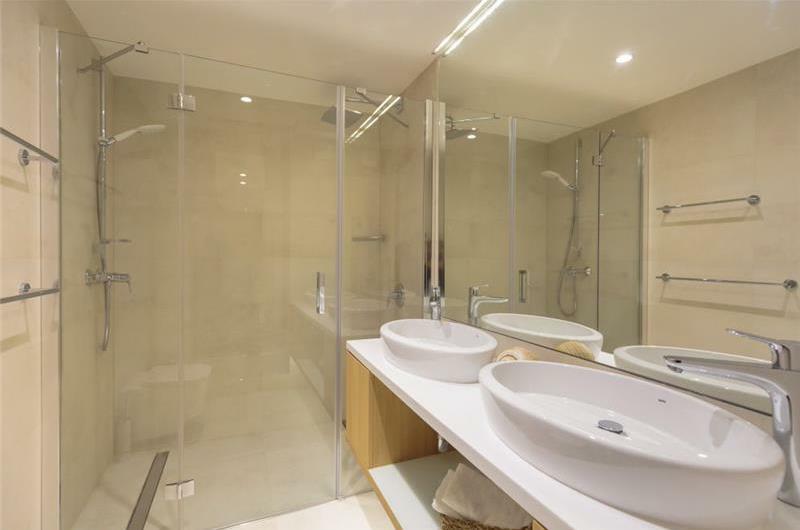 There is a double en-suite bedroom with shower which lies adjacent to the lounge area and is separated by a door. 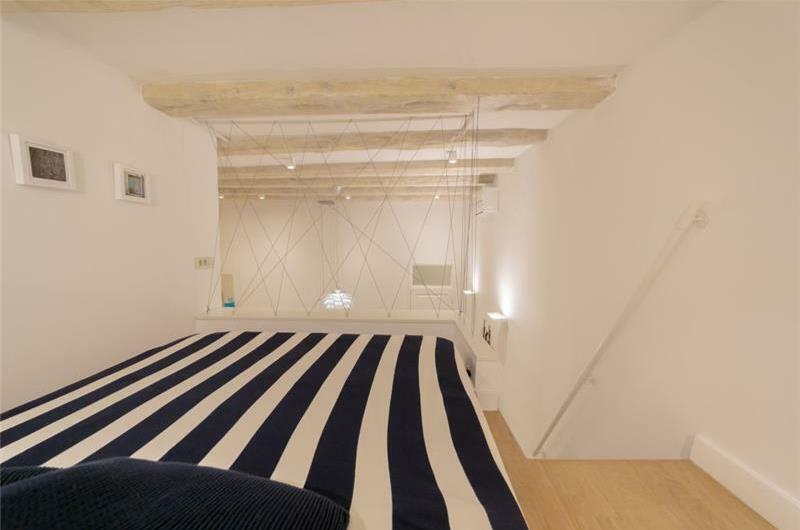 There are 11 steps that lead up to a gallery area where there is an additional double bed. 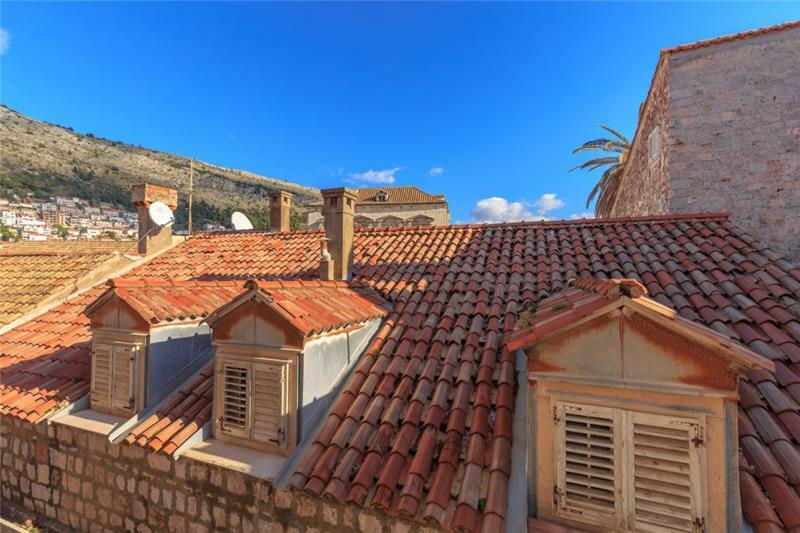 Dubrovnik old town provides guests with an array of shops, bars and restaurants and its city walls are definitely worth a visit; offering panoramic views of the city itself and Lokrum Island. 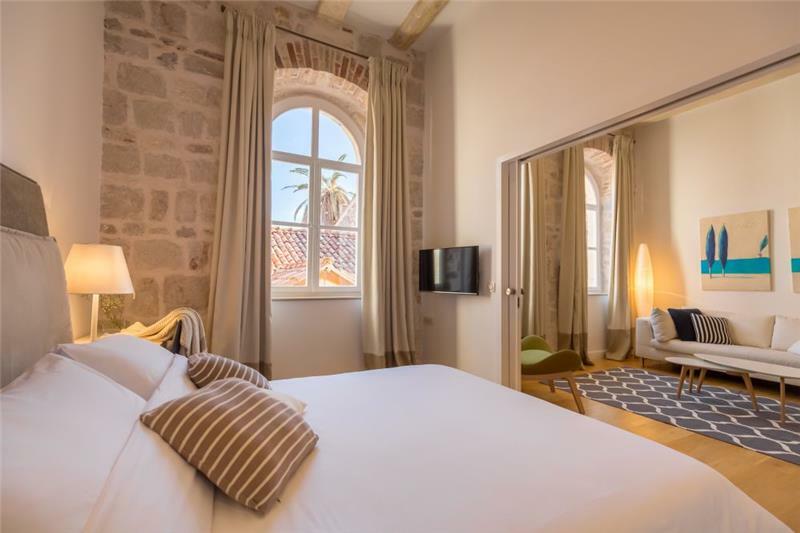 This island is also worth a venture, just a 20-minute ferry ride from Dubrovnik old port, it offers a couple of snack bars, rock pools and beautiful vegetation.